SEADM’s equipment is used by a number of researchers worldwide for bio/health applications including: (i) bio-molecules studies; (ii) health diagnosis and (iii) pharmacokinetics. Based upon its exceptional sensitivity and high degree of automation, SEADM equipment allows increasing sample throughput, cutting time to market within the life sciences and fast tracking product development. The Differential Mobility Analyzer (DMA) is an innovative means to provide mobility separation of bio- molecular ions prior to MS/MS analysis. The DMA used in SEADM’s Mobility Front End serves as a mobility pre-filter fitted onto your mass spectrometer. DMA-MS/MS operation offers two major advantages over MS/MS: 1) separation of isobaric species, and 2) greatly increased signal to noise ratio. Furthermore, the DMA-MS combination of the Mobility Front End will give you an unique advantage for the identification of aggregates that are undetected by MS alone. It has also the possibility to observe the coulombic stretching of highly charged protein ions to probe gas-phase protein ion structure. 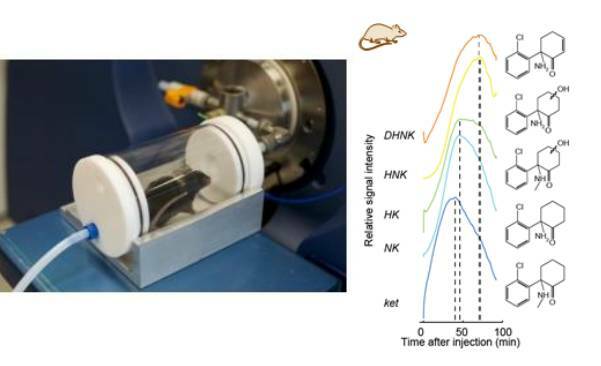 Mobility measurements are particularly interesting in the case of high-mass protein ions generated by electrospray, which are capable of taking on different conformations in the gas phase. 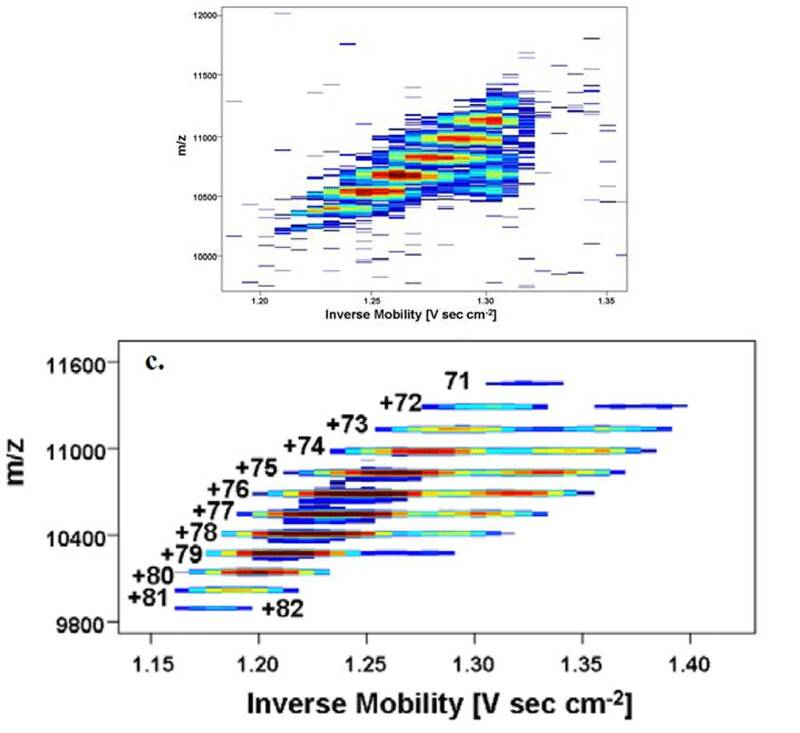 As an application example, the University of Yale has used the Mobility Front End to study the mobilities of a number of proteins and their aggregates in air, N2 and CO2. 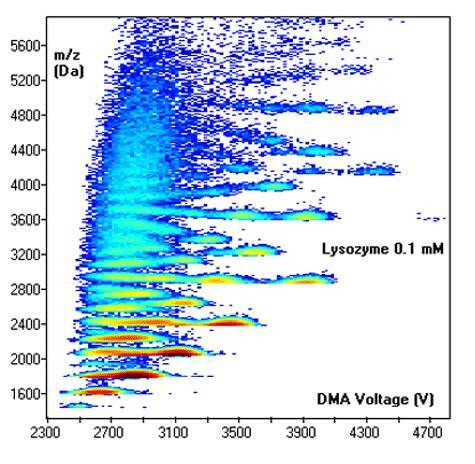 A DMA-MS spectrum for lysozyme obtained is shown in the figure right [link to reference]. Interpreting the measured mobilities as if corresponding to a sphere colliding inelastically with the gas, yields protein densities near 0.95 g/cm3 for a wide range of proteins and their aggregates [link to reference]. Larger densities are found for proteins with symmetric structures, whose mobility is more directly related to their surface area. 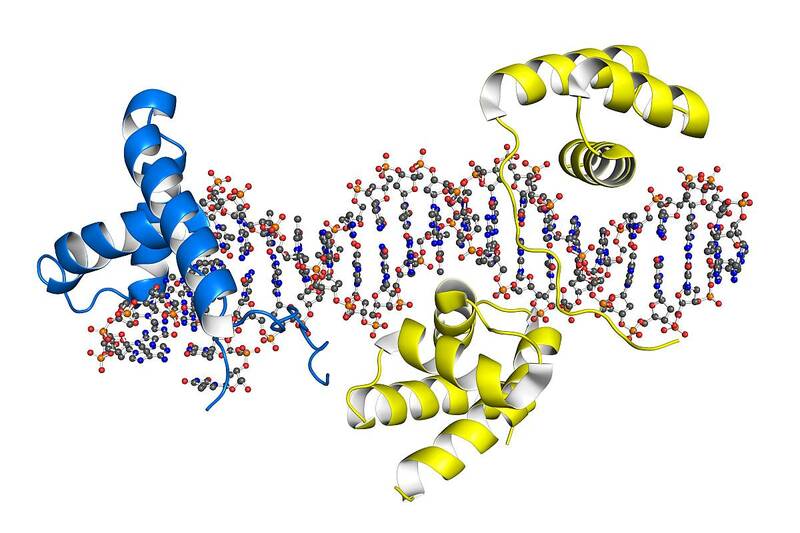 In a different study involving the Universities of Yale, Oxford and Michigan, SEADM’s Mobility Front End was applied to measure true mobility of proteins of this kind, particularly GroEL tetradecamers (14-mers; ~800 kDa). Narrow mobility peaks were found (2.6-2.9% FWMH); hence, precise mobilities were obtained for these ions without collisional activation, just following their generation by electrospray ionization. Interestingly, two conformers were found with mobilities (Z) differing by ~5% at charge state z ~ 79. Following analytical and numerical study, it was concluded that the gas-phase structure of the GroEL complex as electrosprayed is substantially more compact than the corresponding X-ray crystal structure. Alongside the cited universities, the list of Mobility Front End users includes organizations such as Pacific National Northwest Laboratory (U.S.A.), the Indiana University – Purdue University Indianapolis (U.S.A.) and the University of Erlangen-Nuremberg (Germany), and the number of customers is quickly growing!. Just call us and learn how to boost your biomolecules research with the Mobility Front End. The exceptional sensitivity of SEADM’s LFSESI can be leveraged to monitor the evolution of drugs in exhaled air and analyze their related metabolomics. In a recent international study, the evolution of breath levels of ketamine and other drugs after injection in mice were monitored. The Figure on the left shows time-dependent ketamine signal for four different doses: 15, 30, 45 and 60 mg/kg. Each dose was injected in different mice (n=4). Generally, LFSESI has shown a very good sensitivity to drugs. 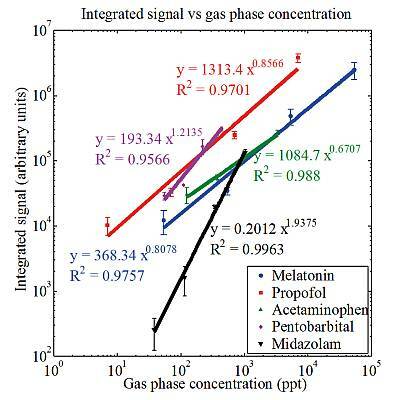 The Figure on the right shows how the system is able to detect a selection of targeted drugs from concentrations of tenths of ppt in the gas phase, with a linear response across three orders of magnitude. Such low concentrations are deemed to be necessary to be detected in exhaled breath of small animals such as mice, as the basis for the fast development of new pharmacological treatments.